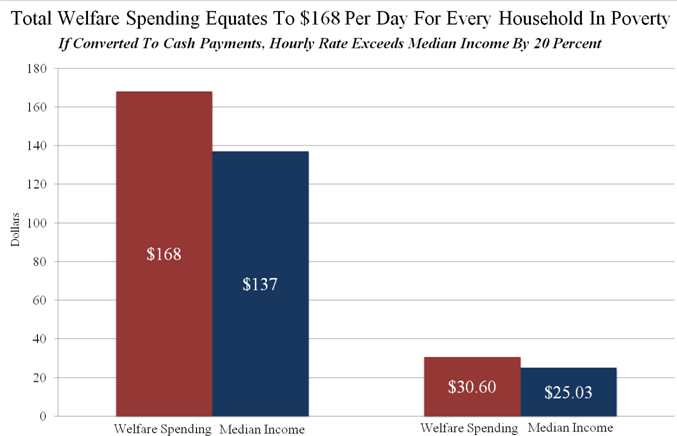 That welfare spending also translates into better than a $30 per hour income. This doesn’t mean that families on welfare live better than the median American family, but it does mean that they have more money spent on them. In part, this is a tribute to the remarkable inefficiency with which the federal government does just about everything. When it comes to welfare, it is time to get out the knife and start cutting.